No one wants to be a greedy person, we all want to be generous since it's a good thing to be generous, yet we don't like to feel used. Well, if you're not expecting anything in return which is how it should be like, then no one can make you feel used, or else it would be called business, doing a favor and expecting it back some other time when you need it. 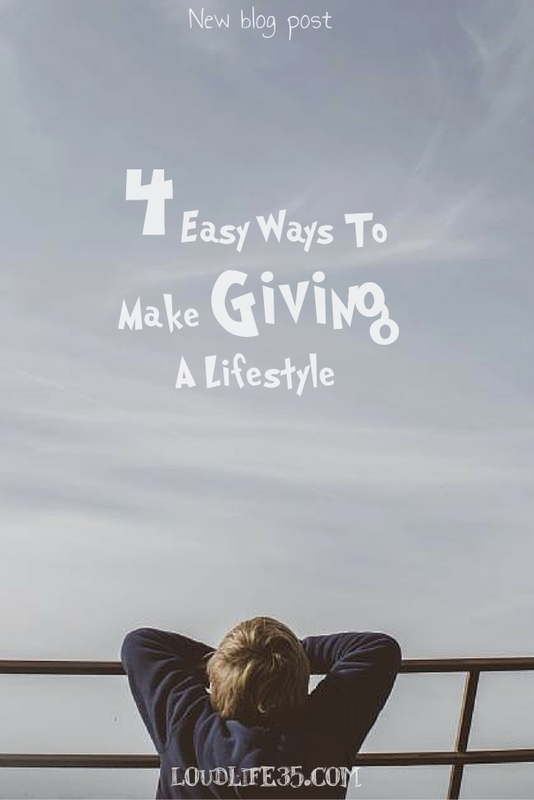 How to make giving a lifestyle! The most successful people are those who, for every opportunity, say how can I help and not what's in for me. Look at all those rich people who had been donating and giving, did it make then any poorer! I don't think so. Have you ever heard of the saying what you give is what you get! Well, this is exactly what I'm talking about, you get richer when you give away to those who are in need. When you give love and care you receive it back, but when you hate people and get jealous from them, you receive nothing but hatred. It's like drinking poison and expecting others to die. So give away what you want to get back. We rise by lifting others. I can't think of any better way to make me feel important, to give me a reason why I'm alive more than helping others. giving and helping can impressively boost your confidence and self-esteem, it is the best cure for depression and the fastest way to be happy. This makes giving not a favor you do for others, but a real favor you do for yourself, that's why it's a need before it can be something you decide to do when you feel like it. Sometimes we get excited about this idea of helping people and donating to charities, yet we picture it as the only way to give. However giving can take different forms other than charities and volunteering, it can start with a simple deed for those who are right around you like your family and those are the people you ought to be helping in the first place. You don't need money to be a giver, sometimes your time and efforts can make a much important difference than any amount of money can. When you're being patient with helping someone and standing by him, you're then giving him something that is irreplaceable, it's your time! As much as time is precious, I can't find any investment for it better than using it to help someone else. Time and effort are indeed free, yet it's always hard to give them away, but then it can teach you some precious trait, it's patience! When giving is your lifestyle, you don't just get to give in some specific times, no, you'll be giving as long as you're breathing. A smile on your face can be a give, it can brighten someone else's day. An act of kindness can mean so much for someone else who might be needing it desperately to have faith again in a better world. Do you know why we're here on this earth? It's to leave it a better place, to make a difference. When you live a good life, you're making a difference. When you do your job well, you're making a difference. Even when you take care of your family, you're making the world better. Giving isn't only those things you do on your spare time, it's also the things you have to do, but you do it well and you put in them your best effort. Helping others isn't exactly a total dedication of oneself to the others because when you help out, you're actually helping yourself, you're boosting your confidence and your self-esteem and you're giving a reason for your being in this world. We're all in the seek for happiness, but what if I tell you that you already have your happiness, you just need to give it away to feel it! 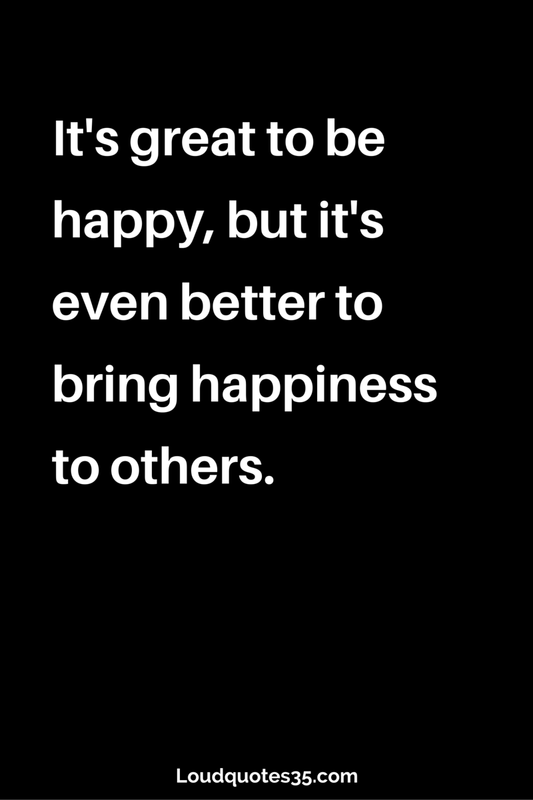 So if you want happiness in the easiest way, start giving it away.